You can Now Top up Via VTU Without Your Mobile Number Or Using An Internet Connection. All What You Need Is To Create A Unique Alias Number. 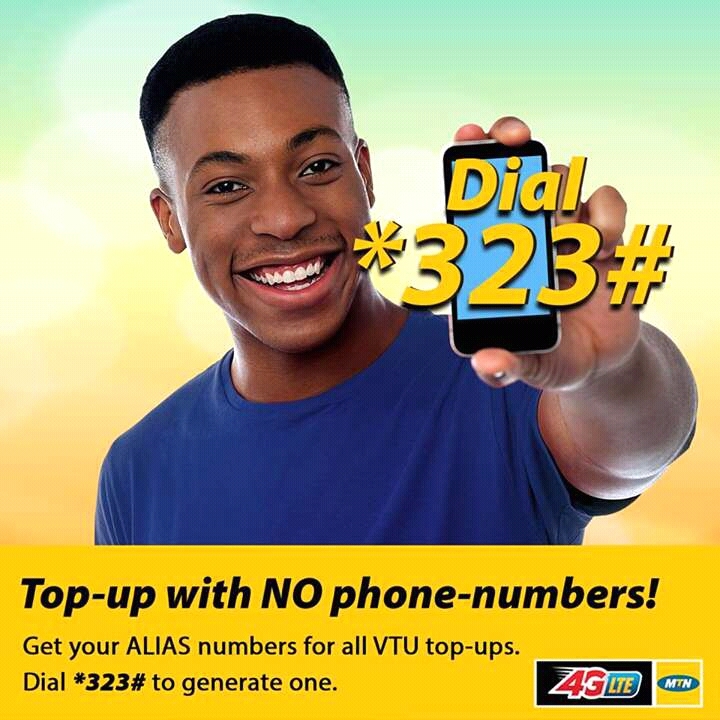 if You Don't Have A Unique Alia's Number Dial *323# To Generate One And Start Enjoying.